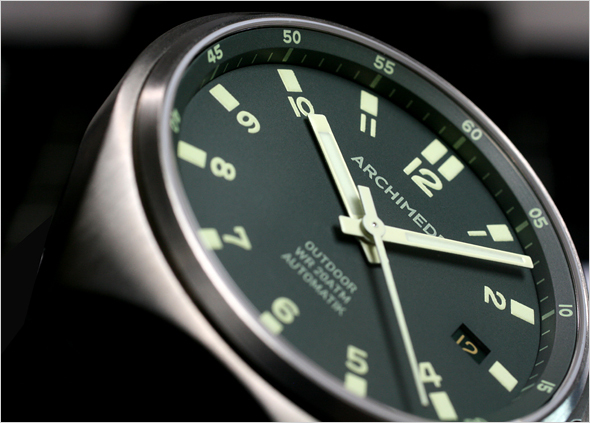 The ARCHIMEDE SUW family welcomes two new members: Schwarzwald and Kalahari. The price starts at EUR 720,00 (incl. VAT), EUR 605,04 (without VAT). All information will follow soon in our ARCHIMEDE Newsletter. If you want to receive it please click here. I’m a happy owner of the sporttaucher and now I’d like to buy an outdoor protect. I just have so much trouble to choose color on the dial (not into pvd) and bracelet. 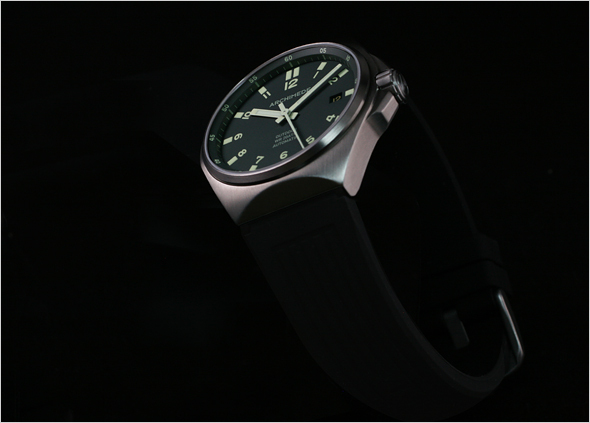 My first question is about the lume on the Schwarzwald, is it the same lume as the other models? I wonder since the indices and hands are more yellow. Also it would be great with some more “real” photos on the Schwarzwald and the Donau. I have searched the internet but havet almost found any good photos yet. Will there be more real photos coming up on the blog? Thank you for making great watches! 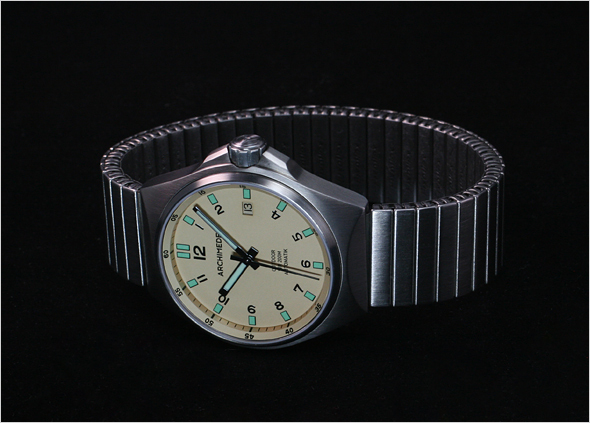 I would like to know if the lume on the schwarzwald dial are the same lume as on the donau and other outdoor models? It looks more yellow/green to me. WIll it glow as intense as the white hands and indices?